Had idea to use 4 inch aluminum elbow. Twisted it to form straight piece. All of its lines give it strength and character Shows it compared to heinekin pot. pot fits inside for storage, u shaped stainless piece inserted through upper row of holes holds pot while heating. 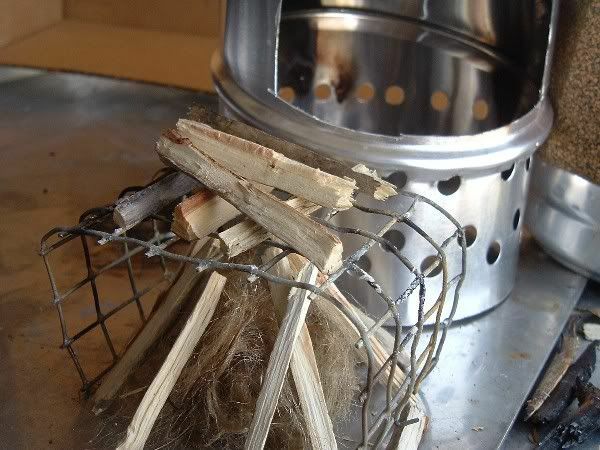 Secret to cleaner/less soot cooking is the use of completely dried, no bark twigs. 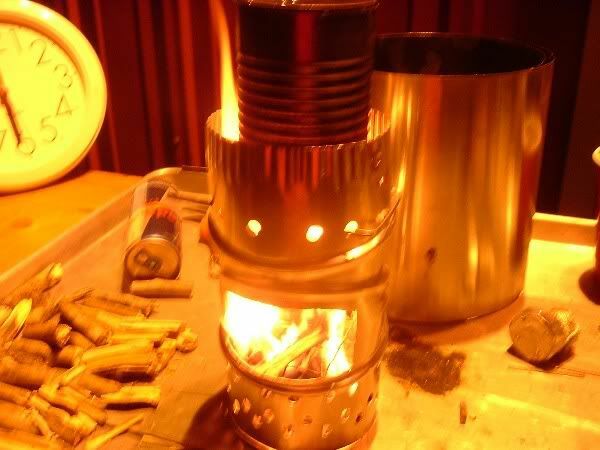 Put pot of water on when fire is hot. Never restrict oxygen. I use jute twine as tinder starter. Lights with a spark. I use ferrocerium rod and steel striker. I carry the flint and striker on my key chain. Always have them with me. 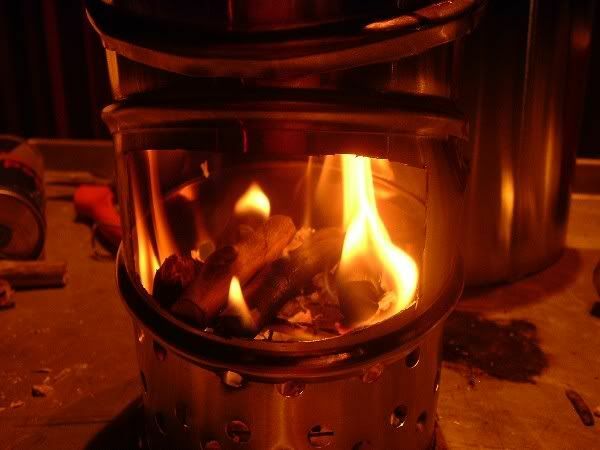 Fire starting tinder can always be found in the woods, even in wet/drenched woods if you know where to look. Learn how, it may save your life someday. Hypothermia kills!!! 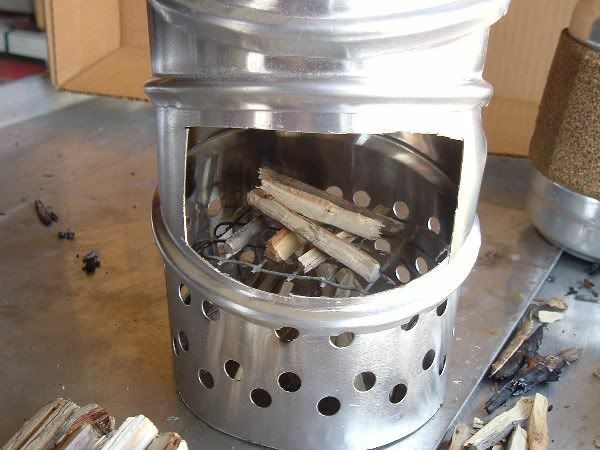 Stove drafts really nice, 3/8 inch space around pot when set into stove. U shaped item that supports pot is stainless steel strips that are used to make windshield whiper blades, the rubber part. Strips support the rubber. 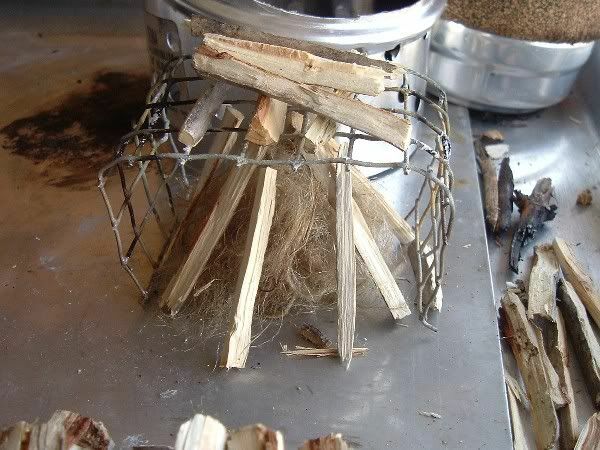 Next time you change your blades keep the steel strips for projects around the stove making area. In a pinch you may need them to unlock the car door when you lock your keys inside. They are hand dandy !!!!!! !